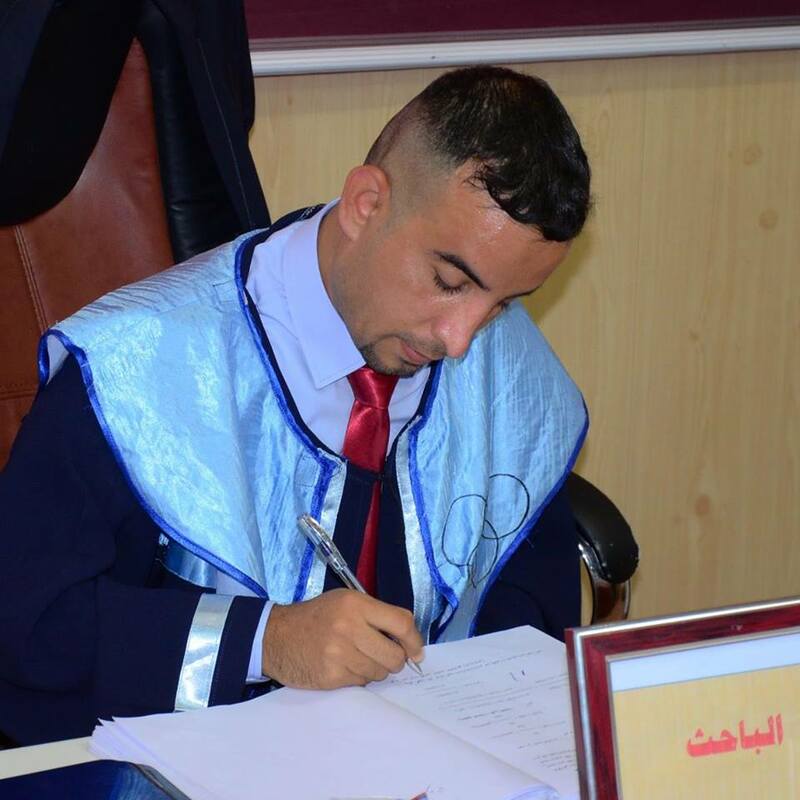 Ali bukheet Hassan ALJeafrii: He holds a doctorate degree in physical education and sport sciences at the rate of 86.60% under the university is No. 2. Specialization (sports psychology / athletics). 3. teaching at the Faculty of Physical Education and Sport Sciences / University of Kufa substance and field stages (second and fourth). 4. I was a lecturer at the College of Physical Education and Sport Sciences / University of Babylon for the academic year 2011-2012 5. I was a former lecturer at the School of the future university. 6. I have published research inside and outside Iraq, in the same high-Impact Factor international journals, and I participate in the International Scientific Conference at the University of Kufa, and got four merit certificates in the fields (and physiotherapy and advanced first aid and psychological support). 9. holds a shield of the superiority of the Vice President as well as the recipient of a letter of appreciation from the president of the University of Babylon.